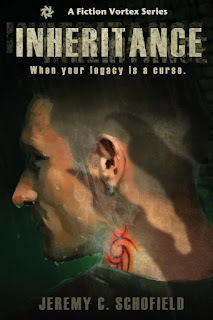 After a 2-month countdown, Inheritance is finally available on Amazon in Kindle format. If you've been on the fence about owning a copy, you now have the opportunity to pick it up for the low, low price of $4.99 - and enjoy it instantly on the device of your choice. Nothing beats the combination of "Vampire Noir" and instant gratification! Pick up your copy today! On Saturday, September 23, we had a party for the release of Inheritance. Halfway through the party, our hostess and my wife talked me into an unscheduled (and unrehearsed) reading from the new book. Since no planning went into this, we made no arrangements for recording the event. Luckily, our good friend Kristie Netzer grabbed her cell phone and was able to capture about 2 minutes of the 5 minute reading. Thanks, Kristie! I've done what I can to raise the audio levels, but you will need to turn up the volume a bit. Enjoy! I’m K. Edwin Fritz, one of the authors in the Ash Falls StoryVerse. For my inaugural post to the Gazette I thought I’d take a stab at once and for all answering a question I get asked all the time… "Where do you get your ideas?" My long answer? Well… it’s not really an answer. It’s more of a kind of venting at how annoying this question can become over time. 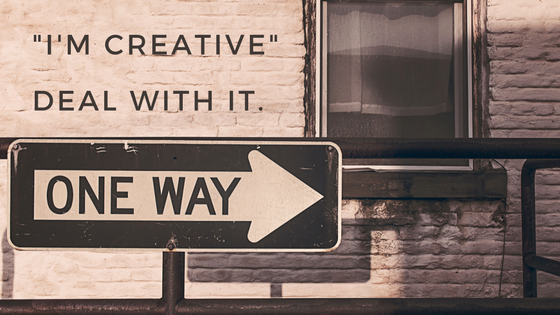 I mean, seriously, why is it that simply saying "I guess I'm just a creative person," isn't a good enough answer? Why is it that people don’t seem to believe me when I tell them ideas pop into my head all the time… while I’m driving, when I’m eating, when I’m reading, when I’m sick, when I’m showering, when I’m buying groceries, when I’m at funerals, when I’m buying a new car, when I’m supposed to be doing other work, and pretty much every third time I catch myself breathing?